Are these nutrient deficiencies leading to baldness? Patients with hair that is unhealthy or thinning often ask me if they should take a “hair supplement”. Some of these men and women have already tried these supplements with little success. Others swear by them. Well, I’m going to give it to you straight. There are a lot of reasons for hair loss. Stress, illness, medications and other issues are often the cause. On the other hand, nutritional deficiencies often play a major role in hair loss. As result, many people see great results when they start supplementing with specific nutrients that promote hair growth.Unfortunately, not all hair supplements are created equal. A lot of them are nothing more than hype… a combination of great marketing and bad science. Buy the wrong one and you won’t see any results. Then again, maybe you buy the right one… but are eating all of the wrong foods. Regrettably, you can’t fix a poor diet with supplements. In many cases, simply changing your eating habits could be exactly what your hair needs. So before you go out and spend a bunch of money on expensive supplements, creams, shampoos and other products that promise to re-grow your hair, let’s take a look at a few nutritional deficiencies that could be at the root of your thinning and fragile hair. Vitamin D deficiency is a huge problem here in the U.S. As much as 75% of the population is deficient. This type of deficiency can result in numerous health issues that are a serious threat to your health. In addition to other functions, vitamin D plays a significant role in hair follicle cycling. When this growth cycle is disrupted, it can result in hair loss. In fact, both men and women with both spotty hair loss (alopecia areata) or pattern hair loss have vitamin D levels that are significantly lower than those without these hair conditions. And the more severe the condition, the lower the vitamin D levels. Since it’s almost impossible to get enough vitamin D from the foods we eat, I recommend vitamin D testing for everyone. If you’re levels are below 40 ng/ml, you can bring your levels up by supplementing with vitamin D3 in the cholecalciferol form. Iron deficiency isn’t nearly as widespread here in the U.S. as vitamin D deficiency. Still, at last count approximately 10 million Americans fell into the iron deficient category. And guess what? Iron deficiency is actually a very common cause of hair loss. It’s linked to both male and female pattern hair loss, alopecia areata and hair follicle issues. But I do have a word of warning. I don’t recommend taking an iron supplement unless you are diagnosed as iron deficient by a medical professional and closely monitored. That’s because if you take too much, it can result in toxicity. On the other hand, there are plenty of healthy food sources that are loaded with iron. Many varieties of beans are an exceptionally high in this mineral. Oysters, spinach, beef liver, beef, pumpkin seeds and chicken are also good sources. Zinc is another deficiency that is an extensive threat across the U.S. But that doesn’t mean there aren’t millions of people who aren’t getting enough of this mineral. And it turns out that patients with all types of hair loss have lower zinc concentrations than those without hair loss. However, about two out of every three hair loss patients who supplement with zinc see improvements. Cooked oysters are one of the foods highest in zinc. Crab and lobster also have appreciable zinc content. But if you’re not a seafood lover, don’t worry. You can also get more zinc into your body by eating grassfed beef or lamb, sesame seeds, pumpkin seeds and lentils. Omega-3 fatty acids are great for your hair. They work similar to finasteride to inhibit 5-alpha reductase. 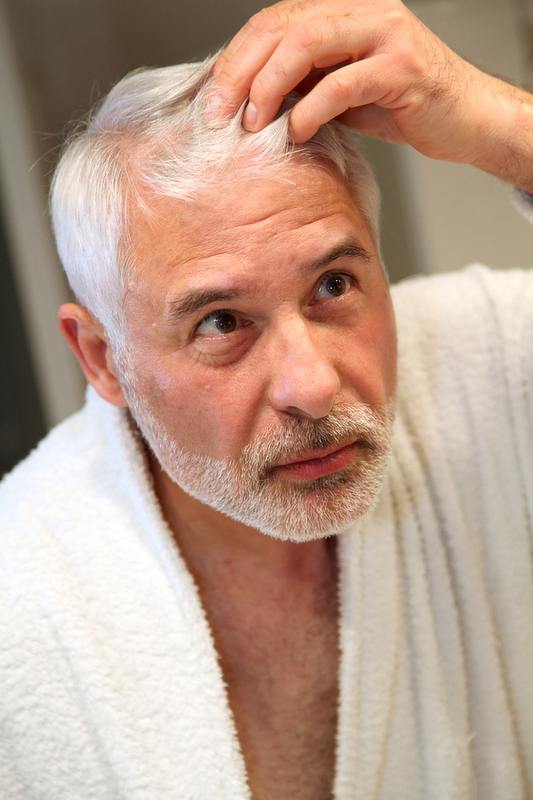 This is an enzyme that converts testosterone into DHT, which can result in hair loss. Unfortunately, most people don’t get enough omega-3 fatty acids in their diet. Still, I always recommend choosing wild-caught seafood over other animal proteins as often as possible. Select small, wild-caught fish like mackerel, salmon, herring and trout. Shellfish are good, too. And by the way. Not only are these seafood delights high in omega-3. They also contain high levels of L-lysine, an amino acid that boosts zinc and iron uptake. So that’s a triple benefit for your hair. It’s also a good idea to supplement with a premium mercury-free fish oil supplement. Take between 2,000 and 4,000 mg daily. Another way to stem hair loss due to high DHT levels is with a natural ancient medicinal herb called He Shou Wu (Fo-Ti). This Chinese herb has been used for centuries to treat hair loss. It’s high in antioxidants, and may provide essential nutrients for hair growth and increased scalp circulation. He Shou Wu could potentially even banish gray from the hair you have left! Last but not least, I recommend investing in a high quality multi-vitamin since evidence suggests that antioxidant vitamins like A, E, C and the B’s also play a role in the health and growth of your hair. Banihashemi M, et al. Serum Vitamin D3 Level in Patients with Female Pattern Hair Loss. Int J Trichology. 2016 Jul-Sep; 8(3): 116–120. Bakry OA, et al. Serum Vitamin D in patients with alopecia areata. Indian Dermatol Online J. 2016 Sep-Oct; 7(5): 371–377. Miller JL. Iron Deficiency Anemia: A Common and Curable Disease. Cold Spring Harb Perspect Med. 2013 Jul; 3(7): a011866. Park SY, et al. Iron Plays a Certain Role in Patterned Hair Loss. J Korean Med Sci. 2013 Jun; 28(6): 934–938. Park H, et al. The Therapeutic Effect and the Changed Serum Zinc Level after Zinc Supplementation in Alopecia Areata Patients Who Had a Low Serum Zinc Level. Ann Dermatol. 2009 May; 21(2): 142–146. Li Y, et al. Hair Growth Promotion Activity and Its Mechanism of Polygonum multiflorum. Evidence-Based Complementary and Alternative Medicine, vol. 2015, Article ID 517901, 10 pages, 2015. Thang NH, et al. 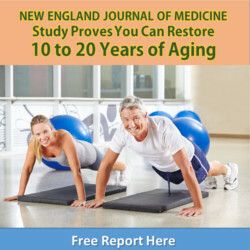 Polygonum multiflorum root extract as a potential candidate for treatment of early graying hair. J Adv Pharm Technol Res. 2017 Jan-Mar; 8(1): 8–13. This entry was posted in Hair Renewal and tagged best foods for hair growth, does omega-3 help my hair grow, foods for healthy hair., foods that feed your hair, how to prevent hair loss, why am I going bald, why is my hair thinning on March 19, 2018 by Taylor Donnini.